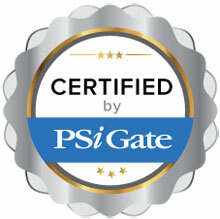 The Ashop Commerce shopping cart is fully certified to integrate with PSiGate’s payment processing gateway. This certified solution works in both Canadian and US dollars. Visa, MasterCard and American express credit card processing is available. Please note that some features are only accessible through the PSiGate online web interface and not through Ashop Commerce. Ashop provides a hosted shopping cart solution that enables entrepreneurs to easily set up and run an online store. The intuitive interface makes it simple for beginners to use. Ecommerce veterans will appreciate Ashop’s powerful advanced features like wholesale pricing for B2B orders, detailed KISSmetrics-style metrics and conditional emails that are triggered when customers take specific actions. Ashop is an excellent choice for any business that is serious about selling online.